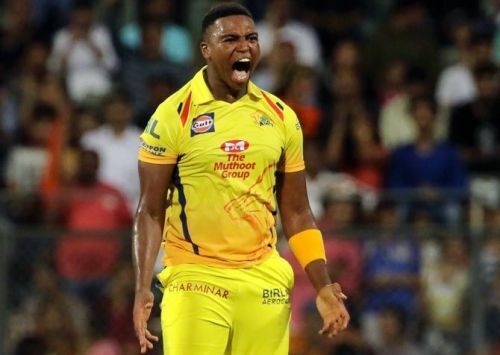 In a big blow for defending champions Chennai Super Kings, South African pacer Lungi Ngidi will miss the upcoming edition of the Indian Premier League due to injury. The pacer sustained the injury during South Africa's fifth ODI against Sri Lanka. Lungi Ngidi was expected to be an important part of CSK's title-defence this season as the bowler was deemed to be a regular pick in the squad. He was also a part of the trophy-winning squad last year which was also Ngidi's first ever IPL season. He was retained ahead of Mark Wood for this season by the Chennai Super Kings and it is indeed a big blow for them that the young pacer will miss the upcoming season. Incidentally, he was the second overseas pacer who was ruled out of the tournament. Due to an injury, KKR's Anrich Nortje also announced his unavailability for the upcoming season earlier today. Ngidi suffered a side strain during the fifth ODI against Sri Lanka which also kept him on the sidelines for South Africa's T20 game against on Sri Lanka which happened on Tuesday. He has now been ruled out for the upcoming edition of the IPL following the injury. Speaking about Ngidi's injury, South Africa team manager Dr Mohammed Moosajee said," Lungi felt discomfort while bowling during the last ODI against Sri Lanka at Newlands and immediately stopped bowling. Further scans revealed a Grade II muscle strain which will need up to four weeks of rest followed by a rehab programme leading up to the World Cup." CSK is yet to announce a replacement for the South African pacer. David Willey is the only other overseas fast-bowling option for CSK in the squad and it will be interesting to see who will replace Lungi Ngidi in their squad. The domestic pace-bowling department comprises of the likes Deepak Chahar, Mohit Sharma and Shardul Thakur in the CSK unit.